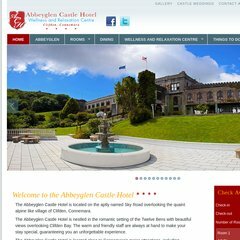 Topics: Events, Download, Abbeyglen, Rooms, and Dining. Anu Internet Services Ltd (England, Bristol) is the location of the Apache/2 server. Its IP Number is 193.189.141.109. ns2.anu.net, ns1.anu.net, and ns4.anu.net are its DNS Nameservers. PING lasso9.anu.net (193.189.141.109) 56(84) bytes of data.